Dr. Lisa Calder is an emergency physician who undertook her 5-year residency at the University of Ottawa. She completed an emergency medicine research fellowship and obtained her Master of Science degree in epidemiology in 2007. 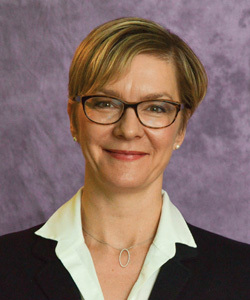 Since finishing her training Dr. Calder has also completed two fellowships: patient safety fellowship in emergency medicine from the Society for Academic Emergency Medicine and the Emergency Medicine Patient Safety Foundation, and the American Hospital Association’s fellowship in patient safety leadership. Dr. Calder is also a scientist in the Emergency Medicine Research department of the Ottawa Hospital Research Institute’s Clinical Epidemiology Program. She is an associate professor at the University of Ottawa’s department of Emergency Medicine, and has received the University of Ottawa’s excellence in emergency medicine quality and safety award as well as the Canadian Association of Emergency Physicians’ teacher of the year award. She joined the CMPA in 2015 as director of Medical Care Analytics.